The Icebreaker event is intended as an opportunity for delegates to meet one another at the Conference venue ahead of the conference,, which starts the following day. Food and drinks will be provided during this relaxed and informal evening, which is a great networking opportunity. With the first full day of conference over, what better way to unwind than to participate in the evening’s ‘Happy Hour and Quiz Night’. As with the ‘Icebreaker’ food and drinks will be provided and attractive quiz prizes will be up for grabs, courtesy of our generous sponsors. Since its first introduction at SEC 2011 this event has proven immensely popular with past delegates, so much so that it has now become an integral part of the Conference itself. Venues located along Singapore’s Boat Quay are made available to SEC delegates through the generous sponsorship of industry companies. Food, drinks and additional entertainment will be provided by the evening’s sponsors. 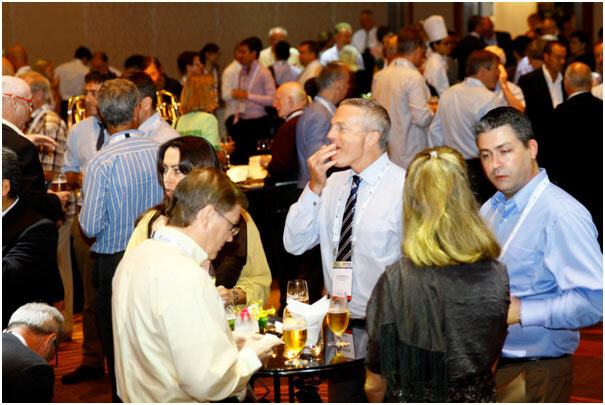 To be held at Chijmes, this relaxed sundowner event provides delegates with a final networking opportunity at the close of the conference.